While the federal tax code may be complicated, state tax laws can be just as convoluted. Read about these twelve strange state tax laws and how they are generating tax income in ways that are both bizarre and entertaining. You think the federal tax code is complicated? That has nothing on state taxes. Different states have their own ways of generating income, whether it's to influence their residents' behavior or take advantage of key local industries. From blueberries in Maine to candy in Illinois to tethered balloon rides in Kansas, there's no telling what can draw extra attention. It's the best thing for revenues since sliced bagels—literally. If you’ve ever wanted to soar above the earth in a hot-air balloon, you’re not alone. But if you want the security of staying attached to the ground while doing so, it’ll cost you. In Kansas, riding a balloon that’s tethered to the ground is subject to the amusement tax. If it’s not tethered, it’s considered transportation, and it’s tax free. New York prides itself on serving the best bagels in the country … which is a good thing, considering you’re paying a premium to eat them. While an uncut bagel is tax exempt, the state adds an 8-cent tax to any altered bagels. If you ask for it with cream cheese or lox, or even if you just want it sliced for you, that’s considered preparing it for consumption on the premises—which inspires that extra tax. You’d think that states would encourage residents to eat healthier and avoid getting a candy bar from the vending machine. But California doesn’t incentivize you to choose fruit. In fact, picking sliced applies or fruit salad from the machine costs you an extra 33 percent in taxes. Think ahead instead—if you buy from a grocery store, you avoid that hefty tax. Is there a Kit Kat lobby? You’d be forgiven if you wondered that and you’re an Illinois resident with a sweet tooth. The state has a 5 percent tax on candy on top of the 1 percent food tax, but Illinois considers candy with flour as an ingredient to be just an ordinary food. Therefore, if you’re buying a Kit Kat bar, you’re not paying the candy tax, since they contain flour. Buying M&Ms? Add that 5 percent. New Mexico qualifies as a state that respects its elders. Turning 100 gets you more than a big party thrown by your family—it also gets you exempt from state taxes. As long as you’ve been in the state for six months, are a resident on December 31 and aren’t listed as a dependent on someone else’s return, the state figures that by that point in your life, you’ve already paid the state enough. Not that the state is a little judgmental, but Arkansas’s tax code encourages you to avoid tattoos or body piercings—or at least, get them outside the state. If you can’t resist altering your body, it charges 6 percent to get tattoos, body piercings and electrolysis. You want to feel like a cowboy but don’t want to get on a horse? Just get the right clothes, and maybe you can pass as someone at home on the range. But if you think folks judge a man’s credentials by the size of his belt buckle, watch out if you’re shopping for gear in Texas. Belt buckles are subject to taxation in the Lone Star State. But an ordinary belt and some cowboy boots to match? Those items are tax-free. If you buy wild blueberries, there’s a 99 percent chance they’re from Maine. Since it’s such a big industry there, it’s no surprise that Maine taxes them accordingly. 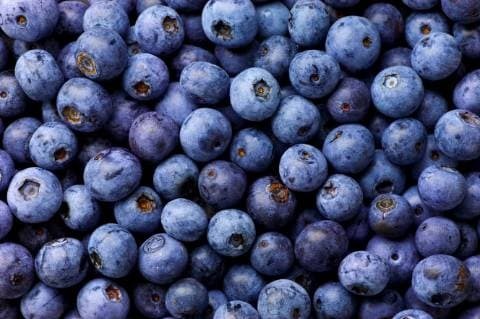 You’ll pay an extra 1.5 cents per pound to get what you need for your blueberry pie or to add to your yogurt or your morning bowl of cereal. According to David Yarborough, a professor of horticulture at the University of Maine, "The Wild Blueberry Commission of Maine administers the tax for promotion and research for wild blueberries. It also supports the Wild Blueberry Association of North America." There’s no lack of patriotism in West Virginia. You want to celebrate the Fourth of July with some sparklers or similar holiday novelties? Feel free. But if you want to sell them, you’ll have to pay the state a tax to get the necessary Certificate to Sell Sparklers and Novelties. If you’ve ever spilled hot coffee on yourself, you probably consider coffee cup lids to be essential. You, sadly, are not a member of the Colorado State Legislature. Nonessential packaging is subject to a 2.9 percent tax, and while the coffee cup is considered essential, the lid is not. Then again, without one you’ll spill your drink the first time you come to a sudden stop in your car, and then paying the bill to detail your ride will cost way more than that 2.9 percent. Gambling’s legal in Nevada, so it’s no surprise that the state uses cards as a small incentive to file taxes. The state gives out a free deck of cards when a tax return is filed. That must make gamblers from Alabama jealous, since that state has a 10 percent tax on card decks with 54 cards or less.